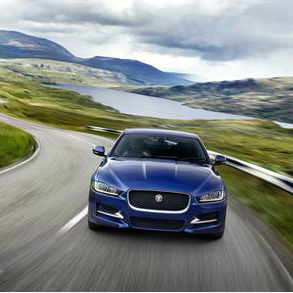 The Jaguar XE and all-new Jaguar XF saloons have been awarded the maximum five star rating in Euro NCAP’s 2015 safety tests. XE and XF scored highly in every category – Adult Occupant, Child Occupant, Pedestrian and Safety Assist – and are among the most highly-rated models in their respective segments. As well as outstanding crash protection, the XE and XF also benefit from a range of active safety systems including Autonomous Emergency Braking (fitted as standard in Europe), which uses a forward-facing stereo camera to detect vehicles which could pose a threat of collision: the system can give the driver visual and audible warnings and automatically apply the brakes if a collision is deemed imminent. “The XE and XF were engineered without compromise: we placed just as much focus on safety as we did on dynamics, performance, refinement and efficiency, and our stringent in-house standards far exceed the requirements of legislative and consumer tests. The XE and XF are developed from Jaguar’s Lightweight Aluminium Architecture: the inherently light yet stiff and strong body structures deliver exceptional occupant protection, further enhanced by driver and passenger airbags, side airbags and curtain airbags. In the event of an impact with pedestrians, deployable bonnets help to mitigate serious injuries. Both models offer a full suite of active safety technologies and advanced driver assistance systems* including Dynamic Stability Control, Traction Control, Emergency Brake Assist, Lane Departure Warning, Blind Spot Monitoring, Closing Vehicle Sensing, Reverse Traffic Detection, Traffic Sign Recognition and Adaptive Cruise Control. Additional features offered in the XF – and which will be offered in the 2017 Model Year XE – include Lane Keep Assist, Driver Condition Monitor and Adaptive Speed Limiter.